With a heritage reaching back almost 60 years and with five million customers in 176 countries around the world, the Toyota Land Cruiser has become an icon of the 4WD market, its name synonymous with Toyota's core values of quality, durability and reliability. That peerless pedigree provides the platform for the debut of a new generation Toyota Land Cruiser at the 2009 Frankfurt motor show, a model that goes further than ever before to deliver true go-anywhere toughness and on-road driving poise. Toyota Land Cruiser's reputation has been built on its ability to meet owners' demands for a vehicle that is utterly reliable in even the harshest off-road conditions, yet offering performance and refinement appropriate for day-to-day driving. 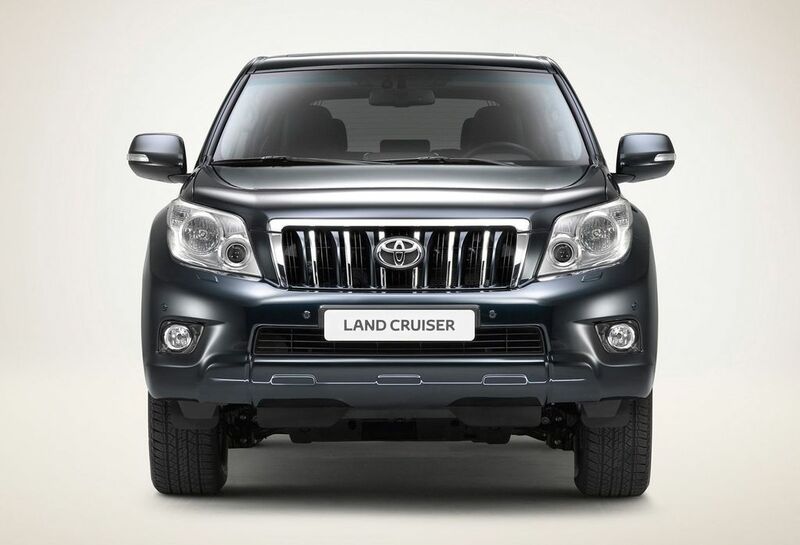 With its new model Toyota has extended Land Cruiser's off-road capabilities with a higher level of on-board guidance and technical support for the driver. New, user-friendly functions have been introduced that can help make tricky routes passable, over terrain on which even accomplished off-road drivers might feel challenged. The quality and scope of these new features help make the all-new Toyota Land Cruiser one of the most technically advanced but enjoyable and easy to drive off-road vehicles in the world. 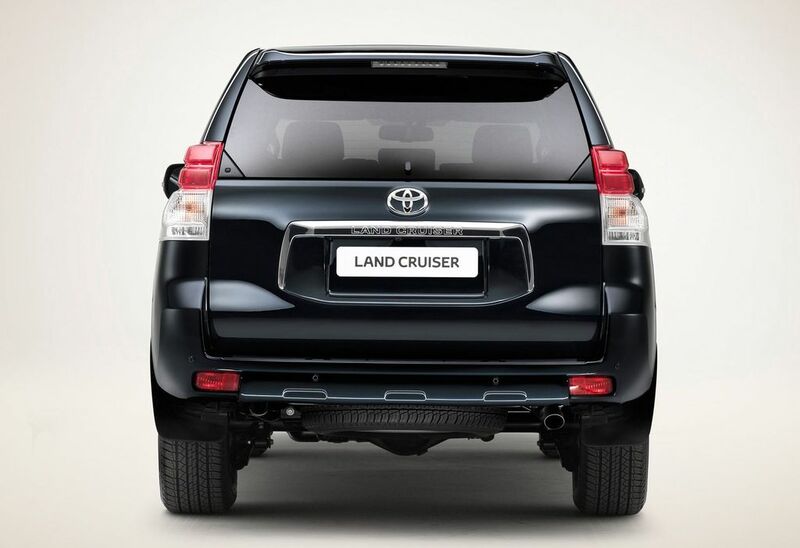 Style and comfort are important to 4WD customers, too, hence Toyota Land Cruiser combines it off-road toughness with pleasing on-road driving characteristics and higher standards of quality and comfort. In the UK new Toyota Land Cruiser will be offered exclusively as a five-door model with seven seats (LC3 model has five seats with optional third row), powered by a revised 171bhp 3.0-litre D-4D diesel engine with five-speed automatic transmission. A three-door model and a 4.0-litre V6 Dual VVT-i petrol engine will be available in other European markets, but there are no plans for these to be offered in the UK. Combined cycle fuel economy is a best-in-class 34.9mpg and CO2 emissions are 214g/km, improvements of 5.1 and 4.5 per cent respectively on current Toyota Land Cruiser performance. The rigidity of the body-on-frame construction has been increased by 11 per cent and insulating frame-to-body mounts have been added to absorb engine, drivetrain and road noise, and to improve ride comfort. The front independent double wishbone and rear four-link lateral rod suspension systems have been revised for extra comfort and steering feel. LC4 and LC5 models grade models are equipped with a new electronic Kinetic Dynamic Suspension System (KDSS), which adjusts the front and rear anti-roll bars for optimised on and off-road performance. The flagship LC5 version benefits from Toyota's Adaptive Variable Suspension (AVS) system with Roll Posture Control, which lets the driver tune the ride characteristics with a choice of three damper settings. An electronically controlled rear air suspension system works with the AVS, providing an auto-levelling function and switchable height control. The air suspension is also effective in absorbing high frequency vibrations and reducing road-generated NVH. A new feature launched by Toyota in the new-generation Toyota Land Cruiser is Multi-terrain Select, which automatically controls power and braking to optimise performance for different types of off-road surfaces. At the same time, the Multi-terrain Monitor feeds real time images from around the vehicle from a network of four cameras to provide the driver with more information about the immediate surroundings. The new Steering Angle Display shows the position of the vehicle's wheels and its predicted path, further helping the driver plot a safe route. The Crawl Control feature lets the driver choose from five different setting to optimise vehicle set-up to tackle even extreme conditions with precision and control, without having to use the throttle or brake pedals. Crawl Control will also help the driver free the vehicle, should it become stuck in mud or sand. 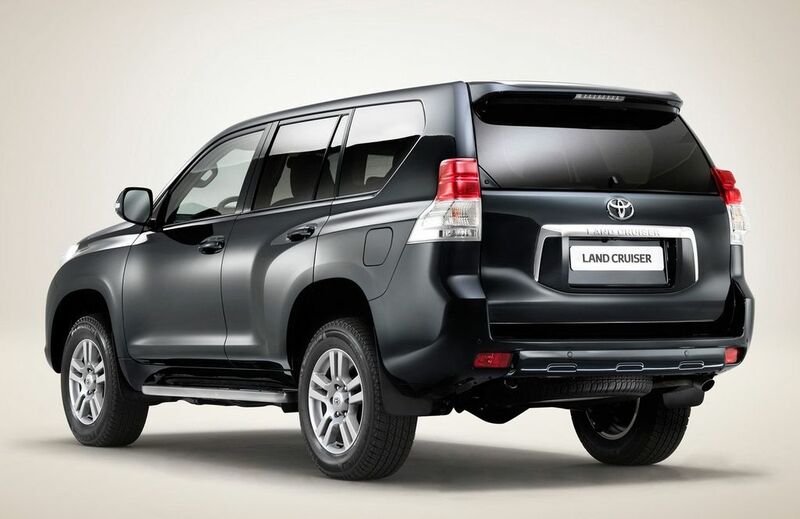 New Toyota Land Cruiser has a more spacious and refined cabin with accommodation for seven in three rows. The second row seats have a sliding range of 135mm and a more flexible 40:20:40 configuration, with reclining seatbacks. A walk-in, slide and tilt function gives easy access to the third row seats. The two third row seats (an option on the five-seat LC3 model) are full-size with integral headrests and they fold completely flat into the loadspace floor when not required. The footwell floor has been lowered by more than 38mm for a more comfortable seating position and, thanks to the slide adjustment of the second row seats, legroom extends to more than double that in the current Toyota Land Cruiser. The left and right hand seats can be raised and lowered independently, using the Toyota Easy Flat system; LC4 and LC5 grade models this function is power-controlled at the touch of a button. Controls are handily located both inside the tailgate and behind the second row seats. The flexibility of the seating is complimented by numerous, practical storage spaces, including a compartment with a USB port for simultaneous connection and charging of portable music players, and a large centre console box that can be fitted with a compact fridge unit. Toyota Land Cruiser benefits from a range of high-tech, user-friendly systems to make life on board easier and more comfortable. The Smart Entry and Start system works in conjunction with sequenced lighting, and at the rear the tailgate has a top-hinged glass section that allows access to the load space even in tight parking spaces. Everyone can enjoy a comfortable cabin environment thanks to a separate air conditioning unit for the rear, giving the new Land Cruiser a triple-zone climate control (LC4 and LC5 models only). A multi-information switch on the steering wheel brings together several features under a single control, and the cameras used by the Multi-terrain Monitor also provide Wide-view Front, Side and Back Guide Monitors for easier manoeuvring in tight spaces and visibility at blind junctions. Toyota Land Cruiser LC4 and LC5 models are equipped with a 14-speaker JBL Synthesis Premium Surround Sound System, giving 7.1 channel sound from compatible CDs and DVDs. It features an 11-channel, 605W Digital Signal Processing amplifier and, using the navigation system's Hard Disc Drive (HDD), offers a "sound library" facility, capable of transferring and storing up to 2,000 tracks from CDs.